The photo above is not a photo. 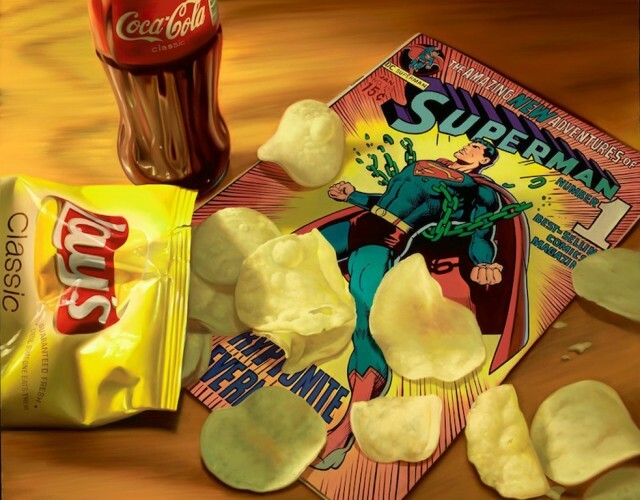 It’s photorealistic oil painting by artist Doug Bloodworth. 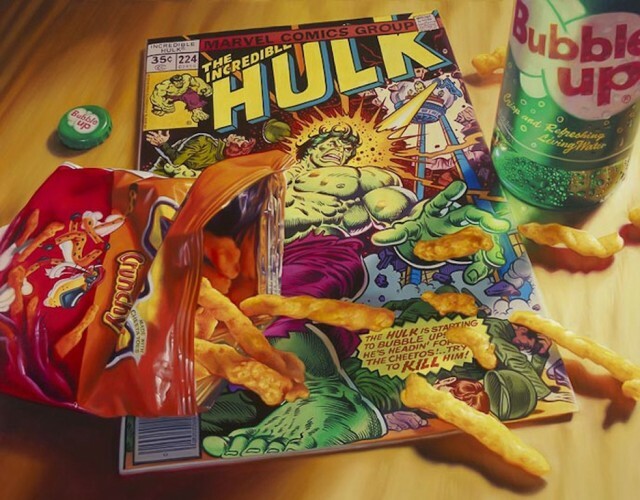 With a nostalgic view on childhood Doug Bloodworth paints snack breaks of American superhero comic classics in combination with snack foods like Oreos, PBJ Sandwiches, M&M’s and Soda bottles. 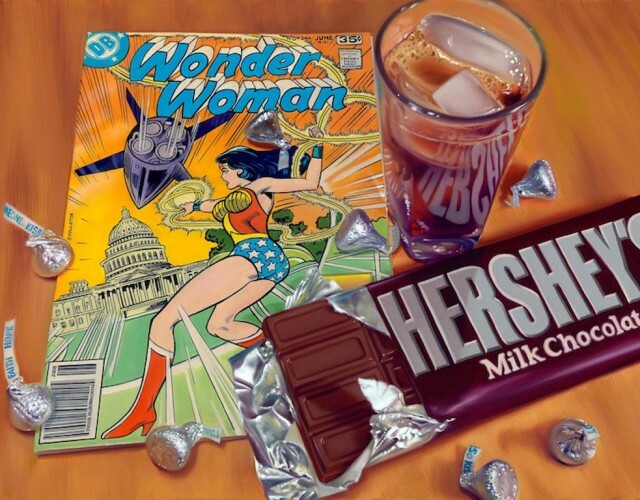 Doug is featured in galleries in the US, Germany, Canada, Switzerland and others, for a full list and to read and see more of the amazing work by Doug go here. 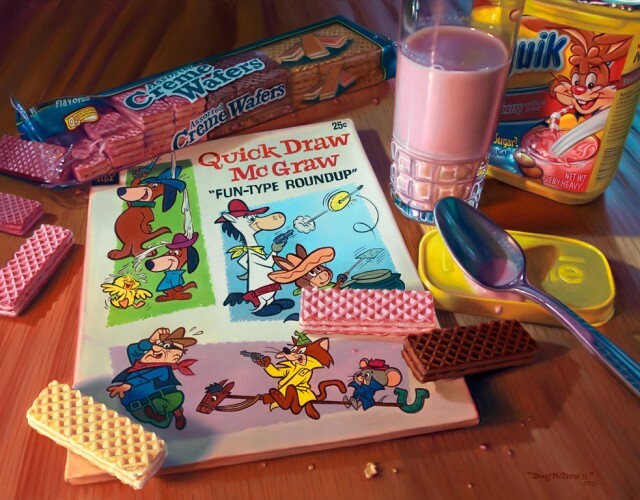 You can also buy paintings and prints by Doug here and connect with him at Facebook. Below is a short interview with Doug and a few more examples of his great work.